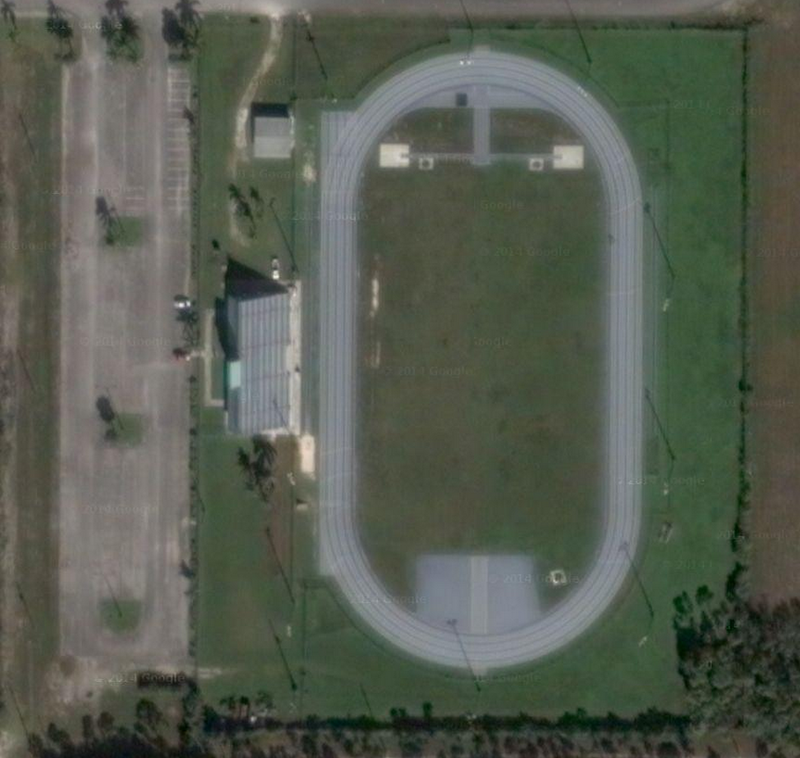 Today I have at Caribbean track to share, and it’s found in the Bahamas. 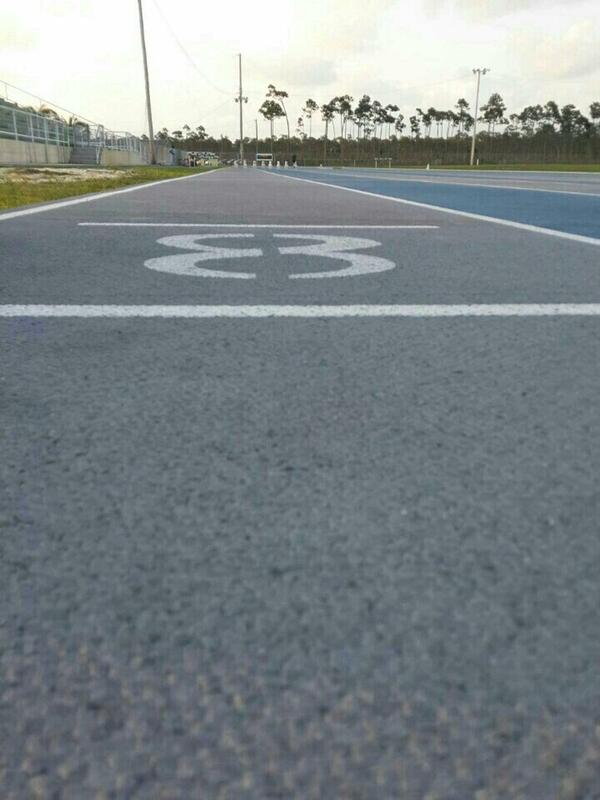 Located in Freeport, this track at Grand Bahama Stadium was recently resurfaced with the nice looking alternating blue and gray lanes, which replaced a more traditional red-colored track that was here before. The runway for the long and triple jumps is positioned between the track and the bleachers, which makes for some very nice viewing for the spectators. All other field events are on the inside of the track.